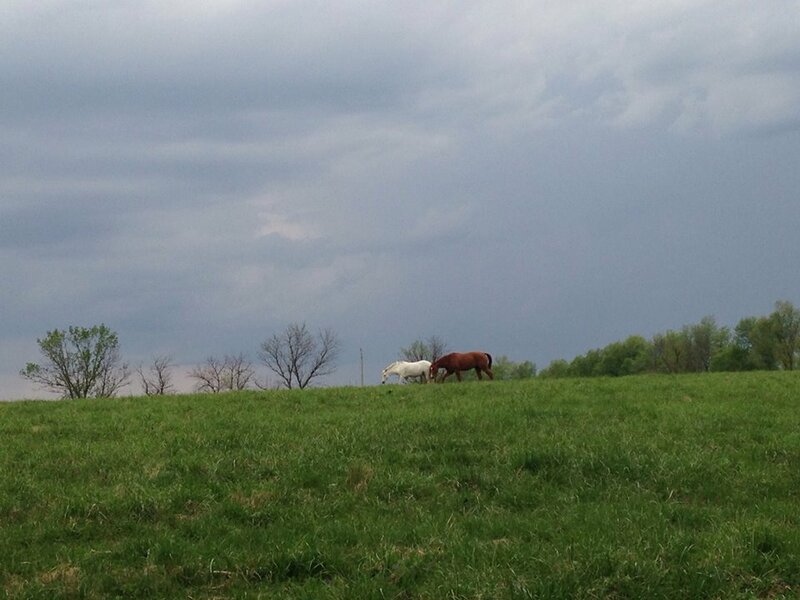 AHEC is located amidst the majesty of Fox Hollow Farm in Prospect, KY offering full and pasture boarding. The main barn was fully renovated in 2013 and is comprised of 17 spacious and open stalls. The main barn also holds a tack room for boarders, feed room, 2 grooming areas, and an open-air wash bay. Our main barn also has a built-in, automated insect control system. We also have a small, 4 stall barn for our Riding Academy, on-sight restroom, an 80' x 290' ring, and a 3 acre jump field. We also offer over 2 miles of trails and access to the BATA Trailhead. We offer all horses with full board grain-feeding twice daily, complimentary supplement administration, grass hay, grown and cut on our property, and overnight group turnout in our pastures expanding 40 acres. Our pasture boarded horses are on a large 13 acre field with an equally sizable run-in shed. The waterer is automatic and round bales are provided during winter months when the grass is dormant. Horses are checked on daily and monitored for health and happiness. Please contact us with any additional questions or to schedule a tour.